Fornetto’s Premium Hardwood Lump Charcoal is crafted in Paraguay by the local indigenous people using Quebracho hardwood trees. 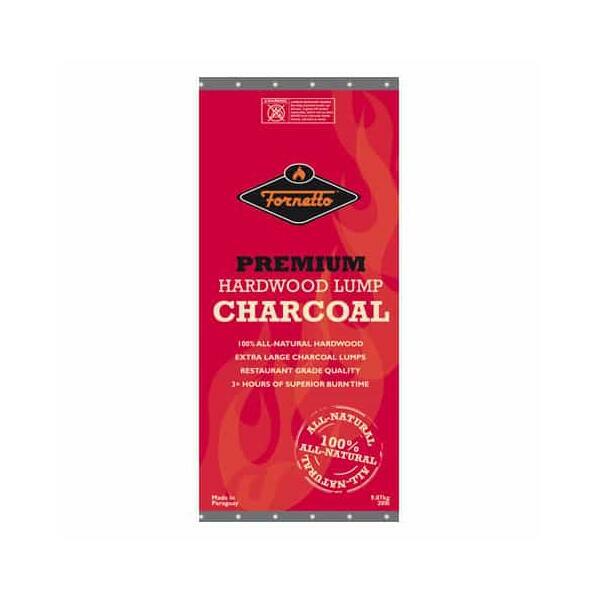 This superior quality, 100% natural hardwood charcoal is free of any chemical additives. 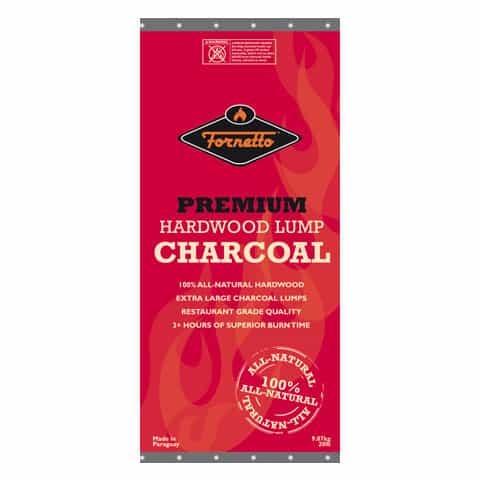 Fornetto’s Premium Hardwood Lump Charcoal is restaurant grade quality; it burns longer, is clean and efficient, and doesn’t spark. With three hours superior burn time, you can focus on other, more important things, like which wine to serve. Fornetto Charcoal has a mild flavor, and is a perfect complement to Fornetto’s wine-infused wood chips. Most delivery times within the Continental U.S. range from five to seven days on in stock merchandise. Special order products can ranges from two to six weeks depending on availability.